323 p., 17,8 x 24,5 cm. This book, an interdisciplinary work, addresses itself to historians, experts on constitutional law, philosophers, political scientists and theologians. 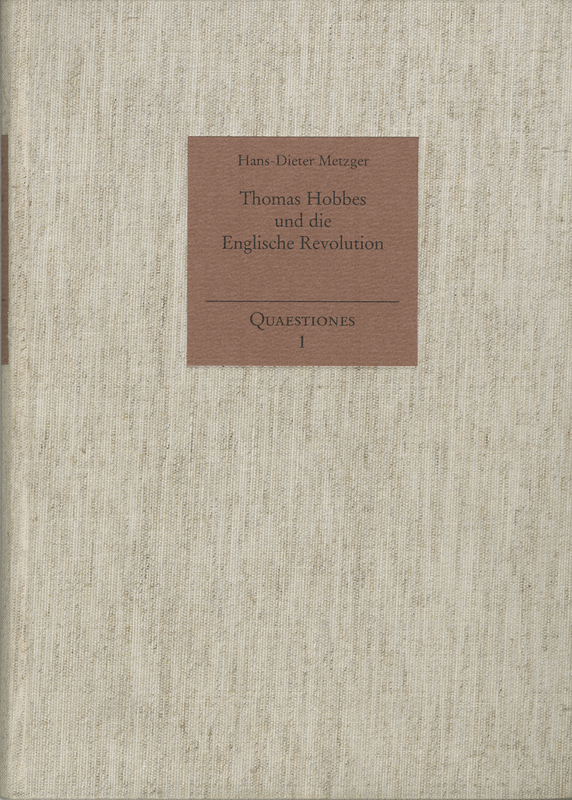 Hobbes’s political-philosophical work is seen as part of the complex debate in the years between 1640 and 1660. Drawing on contemporary sources, the analysis endeavors to reveal Hobbes’s attitude towards the current political problems of his time in order to discover a new approach to key political statements and their implementation.